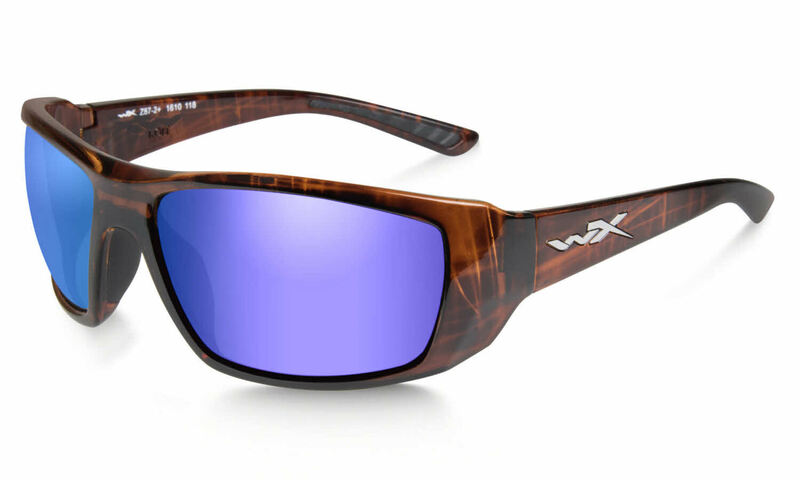 The Wiley X WX Kobe RXSunglasses feature the following logo: WX on temple. Wiley X WX Kobe RXSunglasses come with a cleaning cloth and protective carrying case. A little creaky when opening but prescription lenses fantastic, really good.